He’s been here for three months so I reckon it’s about time that I tell his import story. 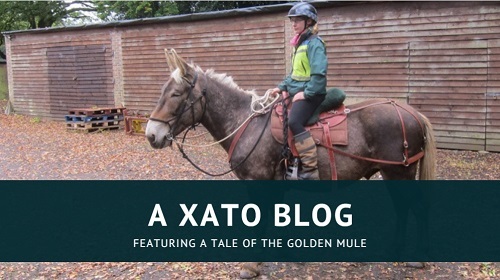 As a very brief overview for anyone who might be viewing this blog for the first time, Xato is a Comtois mule who we brought over from Mallorca, an island just off the coast of Spain. His owner now sources and exports mules to the UK which is really exciting! 1. Why did you decide to import a mule, and how did you choose him? I had been considering the idea of importing a mule for a while. 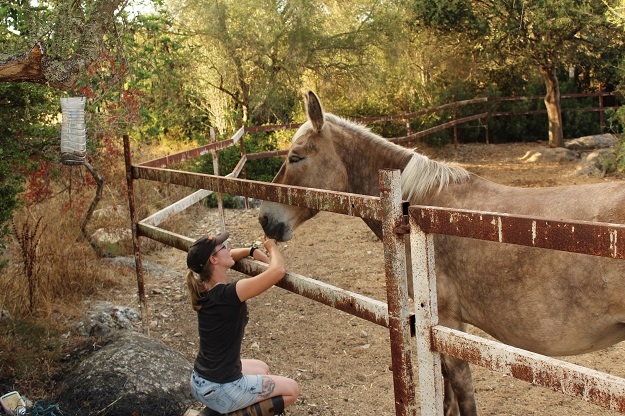 When it became obvious that Marty was going to be a very, very long term project, I started thinking – hypothetically – about where I might find a riding mule if I wanted one. It seemed to me that there was more choice on mainland Europe, as mules come up for sale so rarely here and finding one that’s had any training is like finding a Viking hoard of gold! However, although I joined a few mule groups and kept an eye on what was around, it was never more than a daydream as I figured importing would be way out of budget. Then Xato came along. Essentially, he chose me. As I mentioned in my intro to Xato, I had admired him from afar and when I was offered the opportunity to have him it was something I knew I couldn’t pass up. Mindful of the advice that I’d read in previous import stories, I asked his owner, Xanthe, for videos of him being caught, handled and led, and then Ben and I flew out to Mallorca for a couple of days to meet the great golden beast in person. 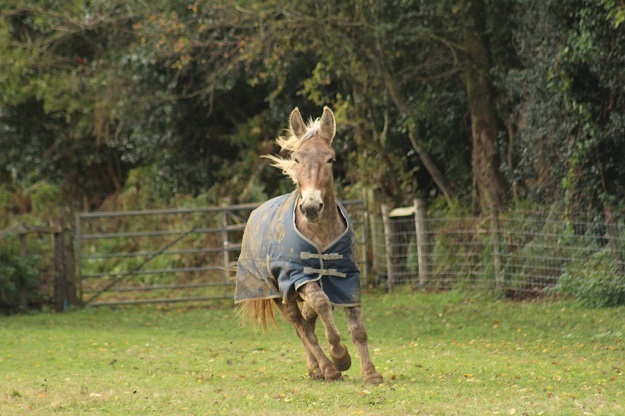 It was love at first sight and I was so pleased when he passed his vetting – the dream was coming true! As he arrived so late, he spent the night in the arena and the next morning I got up early so that I could turn him out in his paddock and hang out with him for a bit before I had to go to work. 2. How long did the process take, from buying your mule to him arriving at your yard? We needed to wait for the temperature to cool down before he could travel. 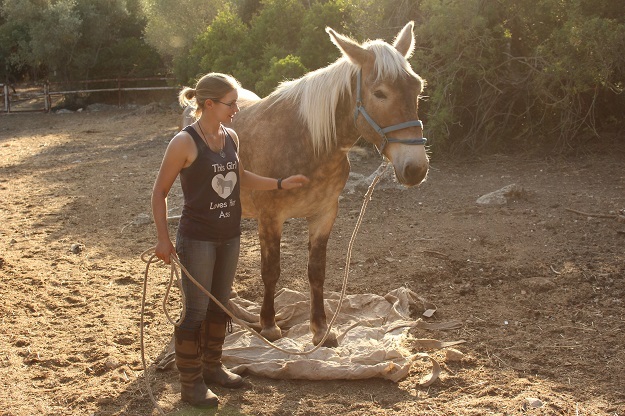 Xanthe had once brought a horse over to Mallorca during the summer, and swore never to do it again – I was happy to comply. It was a long journey to England and Xato was not used to travelling! Ben and I had booked a week’s holiday towards the end of the October, so I’d asked our Spain-to-England transporters, LOC International, to deliver him after our return date. At the time I wasn’t expecting him to leave Mallorca until around then anyway. Xato actually left Mallorca at the beginning of October, because his Mallorca-to-Spain transporters, Pujol Cavalls, could only collect him on that trip or on their next visit in November – which meant that he would have missed out on LOCs schedule, and his arrival would have been delayed even further. Luckily he was able to stay at a fantastic place in Barcelona during his extended stop-over and they sent lots of photos to keep us up to date. 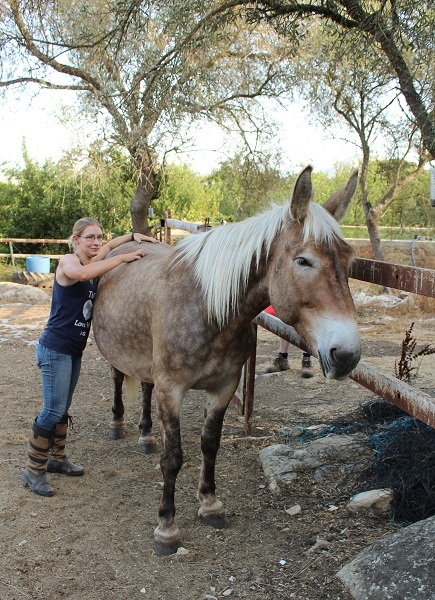 Scratchies are a good way to make friends with mules (alright, any equine really). Having Xanthe in charge of pretty much everything made the whole process smooth and stress-free. She handled all the paperwork, made sure he had his required jabs, and organised the first leg of the journey. She found a vet who could speak some English so that we could ask questions directly during the vetting (not that we for one moment imagined that Xanthe would mislead us!). She even found LOC for me and suggested that they seemed a good company to go with. LOC then made it even easier by liaising with Pujoln Cavalls on my behalf, and arranging mutually beneficial dates for Xato to arrive in and depart Barcelona. So all I had to do was book with LOC, fill in a form, and pay the transport costs! Simples! The one problem we did come up against was at the very end of the journey. Xato was arriving on a ten horse transporter which I knew would not be able to get into my village; LOC suggested maybe unloading him nearby and walking him the remaining distance, but the nearest we could have got the lorry was still a whole mile from the yard and it also put us worryingly close to the motorway. I wasn’t sure how co-operative Xato would be after his epic journey, and we also didn’t know whether he’d even arrive in daylight, so thought it best not to risk it. So we arranged for Xato to be taken straight to LOC HQ in Sussex, the next county over from us. They had facilities there and if he needed to spend the night then that was possible. There was a chance that the horses (and mule!) might be unloaded onto smaller lorries on arrival in England, in which case LOC would be able to bring him straight to me after all. Unfortunately that didn’t happen in the end, and as I hadn’t booked anyone else (hoping that I could stay with LOC, who had been exemplary throughout) it meant a frantic search for someone who could collect him for me! Thankfully, Neddy Stobart rose to the occasion and brought him to me just before dark on Wednesday evening. Playing around and seeing what he could do! The main surprise was the cost of travel. When I had been daydreaming about getting a saddle mule, I’d assumed that importing from Europe would be slightly more achievable than importing from the US, but would still be an unreachable goal unless I had a lottery win. So I was pleasantly surprised to discover that it wasn’t! As for memorable moments, I think having him unloaded at my yard, and being passed his leadrope, will be a memory that will always stay with me. It was that grainy kind of dusk on a miserable November evening and every part of him yelled “What the HELL is going on? !”, but when that rope was put in my hands it just felt like everything fell into place. Having seen him initially try and drag poor Jo off across the yard as she unloaded him, I am still flummoxed by how I then managed to get him across both yards, through the gate, across the field and into the arena without a problem. I suspect it had a lot to do with Xato feeling very disorientated and alone, and me taking charge just felt good to him; but I like to imagine that maybe there was a little spark of kismet there…! It’s a miracle, who’d have thought that you could just a put a halter on a mule without having to set it up like a military operation! Get yourself a Xanthe. Ha! Seriously though, as evidenced by how everything fell apart once he arrived on British soil (i.e. once he was subject to my organisational skills), having someone competent and experienced to help organise things for you is an absolute godsend. In my case it also really helped to have a native who understood how everything worked and could translate for me, too. I would echo other people’s advice on asking to see video of your mule, and travelling to meet them before purchase as well if at all possible. Although I never doubted Xanthe’s honesty, for me it was important to see video of Xato being caught because of the nightmare that’s been with Marty. 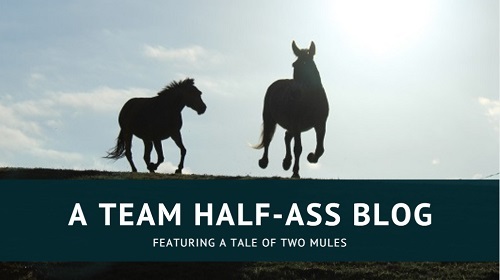 At the time I was still slightly afraid that maybe all mules were like Marty, and I knew that if there was any suggestion of similar behaviour – even if it was just a look in the eyes – then I would have to think very seriously about whether or not to go through with it. Luckily the video made it very clear that Xato was not Marty, and our subsequent visit was mostly to make sure that he liked me as much as I liked him. I feel that mules, more than horses, need to like the person they’re going to live with. They have strong personalities and form long-lasting bonds, so in my opinion you need to make sure that you are compatible! 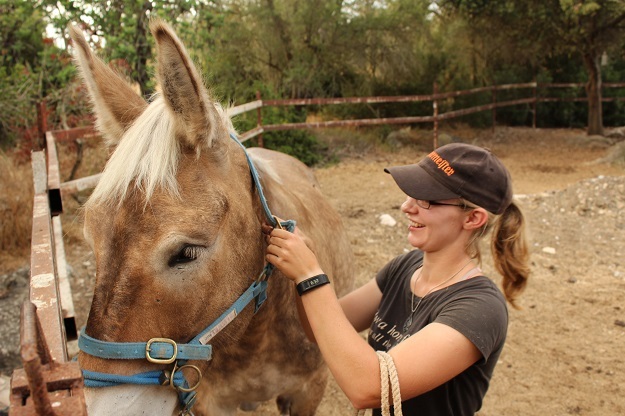 That being said, although it takes a long time to earn a mule’s trust, it’s not that hard so long as you aren’t an awful person … just be kind, patient, and consistent, and they’ll come round. Even if you’re not able to go there and do it yourself, make sure you at least have video of your mule doing all the basic things like having his feet handled, being saddled, led around, ridden/driven etc. Sometimes a mule may act a little differently with a new person and a new place, so it’s good to know that they can do the thing they’re claiming they can’t! All you have to do is figure out how to get them there!